Hard money lenders are perhaps the best way to get 100% financing with easy qualifying, money for fix-up, and fast closings. Hard money lenders make relatively short term (12-24 month) loans to real estate investors for the purpose of acquiring the property and rehabbing the property. These loans are often funded by pools of private investors that have been grouped together into a pool of capital by a lender. The hard money lender is willing to take more risk in the form of easier lending standards. You can even borrow 100% of the purchase price plus some or all of your repair money by using hard money lenders. Your first step should be to run the numbers on our web site to see if conventional lenders can provide you with the loan you’re looking for and get an idea about rates, payments and closing costs. 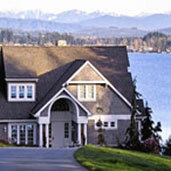 Then, use our network of hard money lenders and expert mortgage specialists to find the best loan for your property.